On this first day of spring, and National Proposal Day, it seems only fitting to bring you the wedding of Julie and Michael. Their spring wedding was just the kick off to wedding season all of us need. 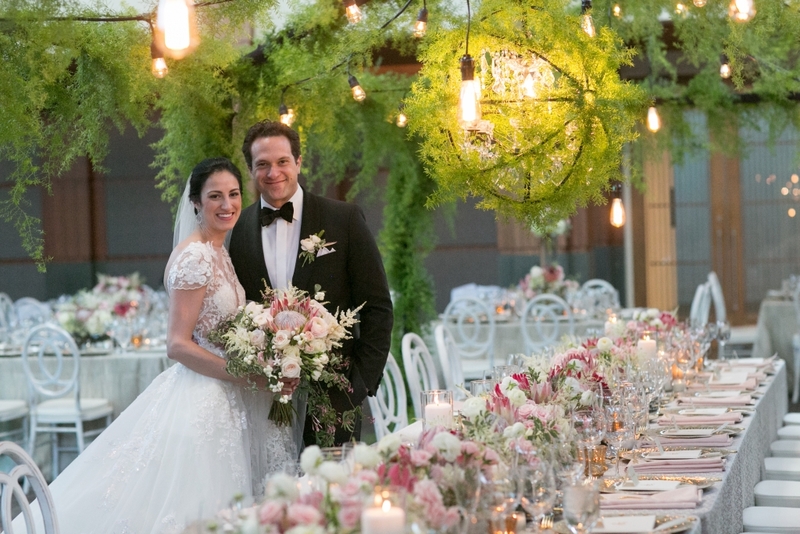 After a cold winter, it was the perfect way to allow springs flowers to bloom and have a garden wedding – both outside and in. The ceremony was held at Michael’s childhood home which allowed guests to mingle with some wonderful guests, including llamas, horses and feathery friends. 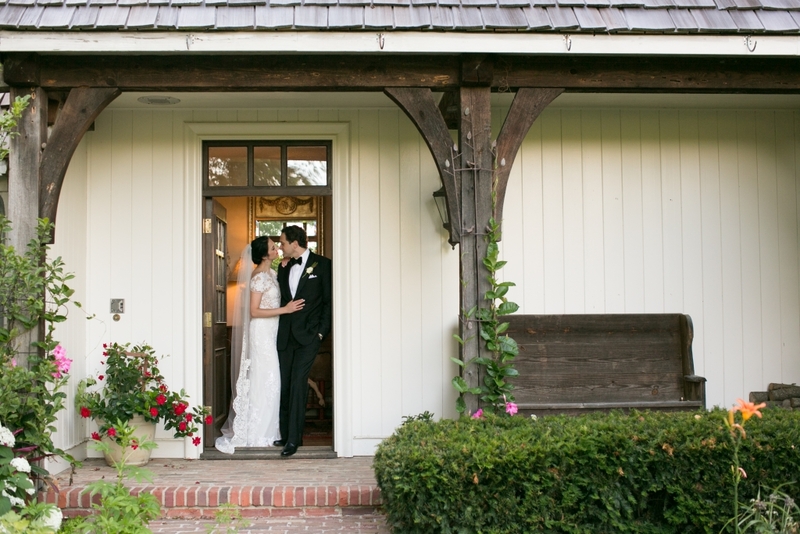 The beauty of the farm created the perfect and personal backdrop for the couple’s nuptials which were presided over by each of their brothers. 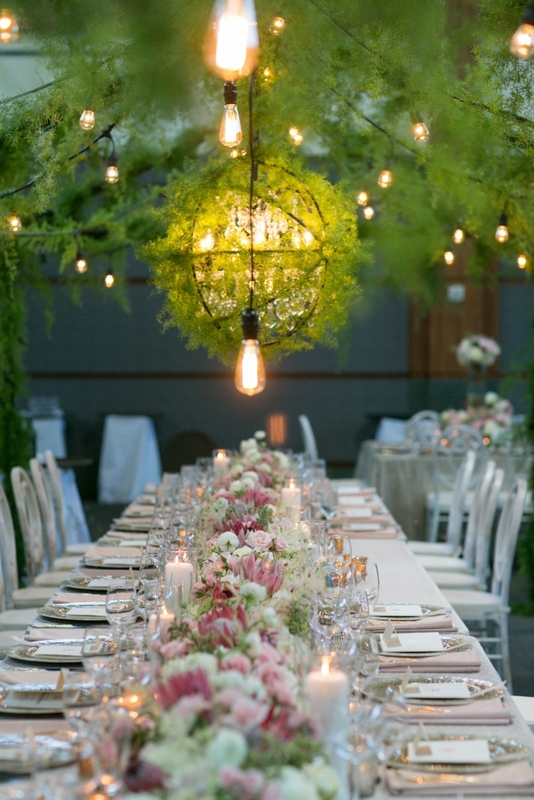 The reception at Newfields was a lush indoor garden filled with pink blooms, including protea in honor of Julie. Michael’s mom, an artist, created a painting of a protea to serve an inspiration for the invitation suite. The protea was chosen because of Julie’s South African heritage. This artwork was used predominately throughout the entire weekend, and was a canvas for several pieces of paperie. Because the reception celebration was at IMA, art in general served a special role throughout the event. Guests were even given coloring books during the evening with fun facts about the couple which helped navigate the evening’s festivities. Michael, among many other talents, is a restaurateur, so the menu they selected for the evening was impeccable. Guests of course, were delighted when his restaurant was part of the evening’s late night snack. They were also surprised when he joined the band and surprised Julie (and them) and played guitar for part of the set. 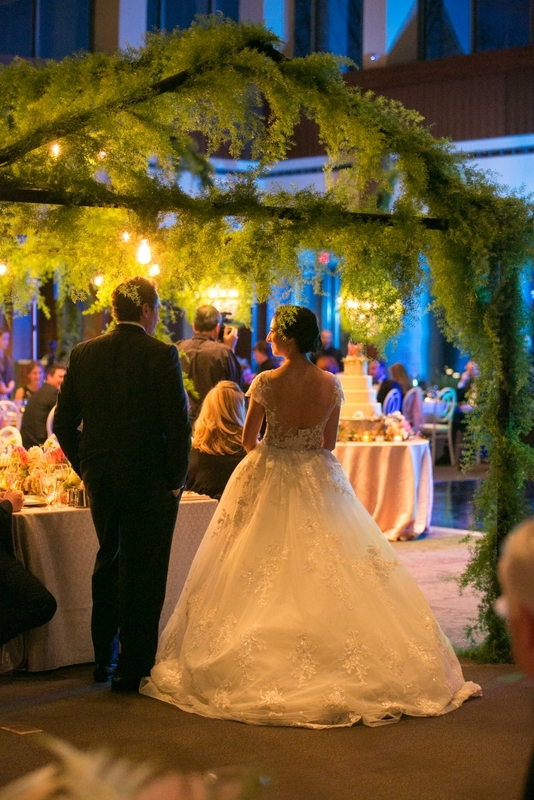 Planning and designing Julie and Michael’s wedding was a delight. Their families are welcoming and so full of history and they wanted to share their stories with their guests. I love when people tell their story on their wedding day so intimately. It’s so authentic and engaging for their guests. Julie and Michael got it, and they got it soooo right. From opening their home to their guests, to sharing their favorite foods, to telling the (best!) stories during toasts and in their coloring books, they showed their full and beautiful souls to their friends and families, it was an honor to be part of it all.